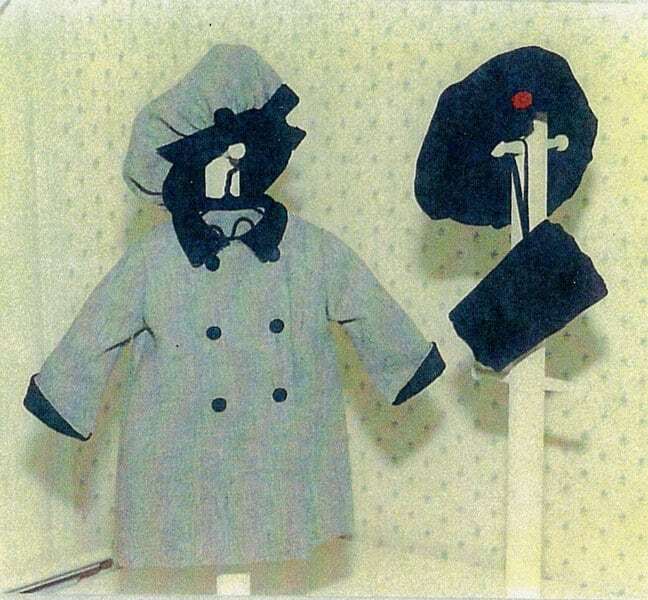 This wonderful dress coat, beret and muff was first published in Creative Needle magazine. It will keep your American Girl doll warm and stylish on cold days. Carol Clements designed doll clothes for the 18 inch doll, in particular the American Girl dolls, during the 1990's. Her designs were also frequently seen in Creative Needle Magazine during that time. Her patterns have not been commercially available for over 10 years but Carol is a friend and she has agreed to allow me to sell them. These are beautifully drafted patterns with excellent instructions. I love this quote from Carol found in one of her patterns. "As all 3 of my children grow up, I have discovered the reason I now enjoy sewing for dolls more than ever. The dolls never outgrow a need for "fancy clothes". or, for that matter outgrow the garment by the time it's finished. Dolls never spill anything on their clothes, rip out the knee or the hem and they never complain of any discomfort. Best of all they almost never refuse to wear it after its finished"
If this pattern shows as sold out please email me (link on the right). I only keep 1 or 2 in stock at any time to keep costs down but I can print more at any time. Check my store for other patterns by this designer. Adorable pattern. Have not used as yet but will!